Google Suggest might offer suggestions that you will find novel or intriguing. Posted on Monday, May 14th, 2007 at 2:30 pm. Subscribe to the comments feed. Both comments and pings are currently closed. Post on your own blog. I see that I can’t post the photos. Ohs well. 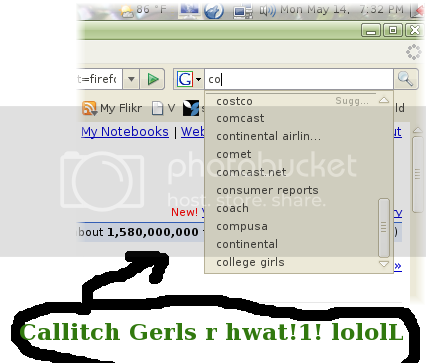 I did, in fact, also get College Girls as a suggestion for CO.
Haha. Yeah, it worked for me, too. 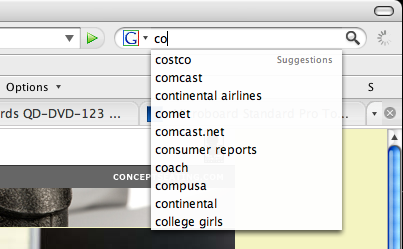 And I’ve never searched for college girls, ever.